PORTLAND, Maine —A new British study published today in the European Journal Of Nutrition reveals that when children consume wild blueberries they show greater memory and better concentration. This study, led by Professor Claire Williams, from the School of Psychology & Clinical Language Sciences at the University of Reading, is the first detailed examination of the effects of wild blueberries on cognition in children using multiple doses and test sessions. The study, titled: “Cognitive Effects Following Acute Wild Blueberry Supplementation on 7 – 10 Year Old Children” was conducted during a three-week period from May to July 2012, and included a total of 21 elementary-school children ages 7 to 10. Each child enrolled was randomly given one of three beverages containing different amounts of wild blueberries or none at all on one day during each of the three weeks. The children received all three of the beverages over the course of the study, which included either a high dose of wild blueberry (30 grams, equal to about 1.75 cups); a low dose of wild blueberry (15 grams or equal to about ¾ cup); or a placebo dose (0 grams of wild blueberry). Following each serving, the children were given a series of four cognitive tests assessing memory and concentration at different time intervals throughout the day (1.25, 3 and 6 hours post dose). During the test day and prior to it, the children were required to eliminate flavonoids from their diets. Prof. Williams’ study suggests a strong correlation between the intake of wild blueberries and performance with the high dose leading to the best performance and the placebo to the least effective during the test sessions. For example, one test focused on delayed recognition, where the children were asked to remember 15 words from a list of 50 approximately 20 to 25 minutes after hearing them. When compared to performance at baseline, the children recognized more words following consumption of the high dose wild blueberry drinks (a 9% improvement) as compared to the placebo (a 3% decrease). Improved performance on a further task where the children were required to ignore distracting stimuli indicated that concentration levels in the wild blueberry rich groups also increased. According to Prof. Williams, “We have known for some time that anthocyanins promote healthy brain function in adults, but now we can see the beneﬁcial effects of anthocyanins on a variety of memory and attention tasks in children. 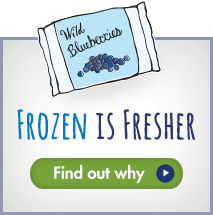 This study suggests a strong link between wild blueberry intake and enhanced cognition in kids,” she said. As a result of these initial findings, Prof. Williams and her team of UK researchers are undertaking even more studies that will investigate the effects of wild blueberries on children. Williams and her team will be investigating whether reading development can be enhanced and if attention can be improved in kids with ADHD through a diet high in anthocyanins. Dr. Williams said she is optimistic the studies will show equally impressive results. The study, titled: “Cognitive Effects Following Acute Wild Blueberry Supplementation on 7 – 10 Year Old Children” was conducted by Prof. Claire Williams, University of Reading Nutritional Psychology Unit, School of Psychology & Clinical Language Sciences. Dr. Graham Schafer, Developmental Psychologist and Associate Professor University of Reading School of Psychology & Clinical Language Sciences; and Dr. Adrian Whyte, graduate student in the School of Psychology & Clinical Language Sciences also participated in the research. The Wild Blueberry Association of North America (WBANA), founded in 1981, is a trade association of growers and processors of wild blueberries from Maine and Canada, dedicated to bringing the wild blueberry health story and unique wild advantages to consumers and the trade worldwide. WBANA is dedicated to furthering research that explores the health potential of wild blueberries and since 1997, has hosted the Health Research Summit in Bar Harbor, a worldwide gathering of scientists and researchers whose work is leading the way in learning more and more about the health benefits of wild blueberries. For news, recipes, and related health information about wild blueberries, visit www.wildblueberries.com. For the latest updates, read our blog. Visit us on Facebook or on Twitter.